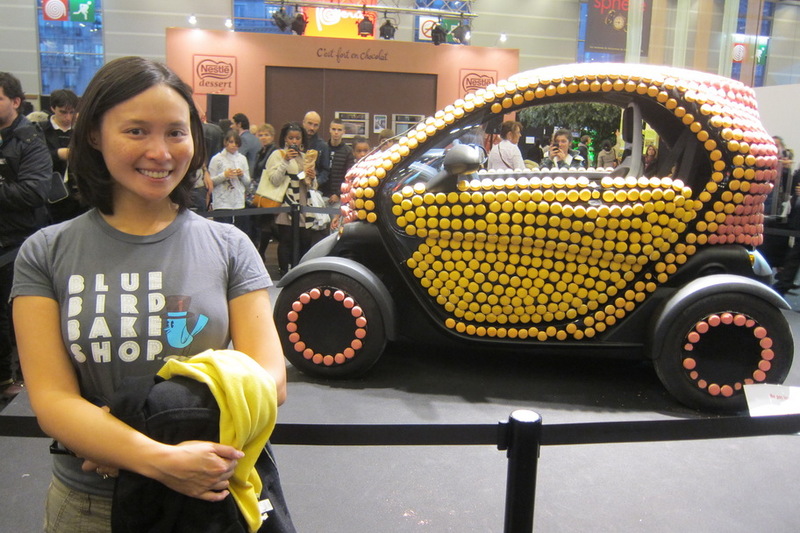 Posted by mrsselfish in Europe, Food & Drinks, France, Paris, Searching for the Best . 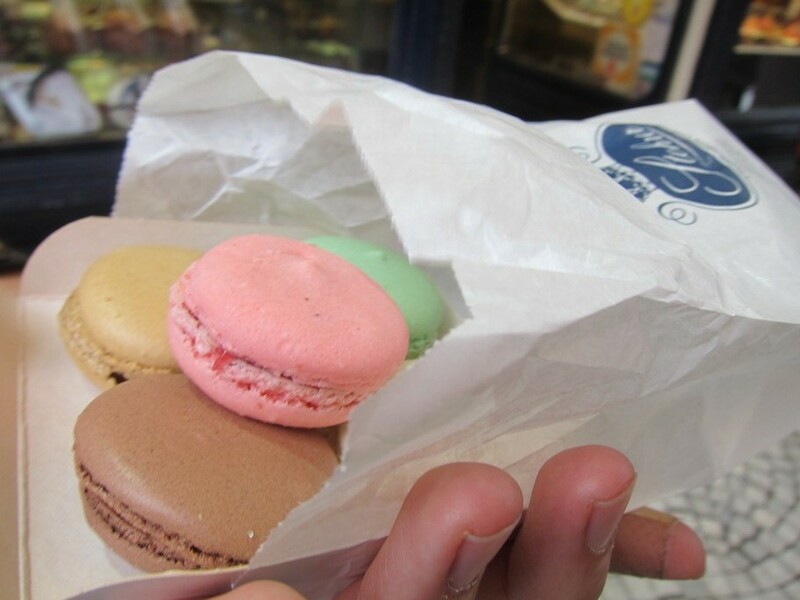 . .
Mr. Selfish and I love macarons. 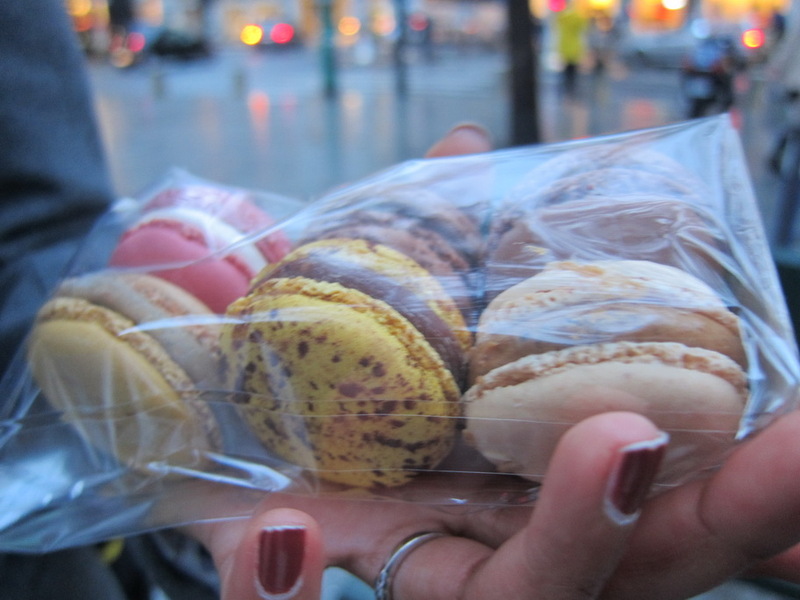 We therefore decided to search for the best macarons in Paris. It was a hard task but someone has to do it. 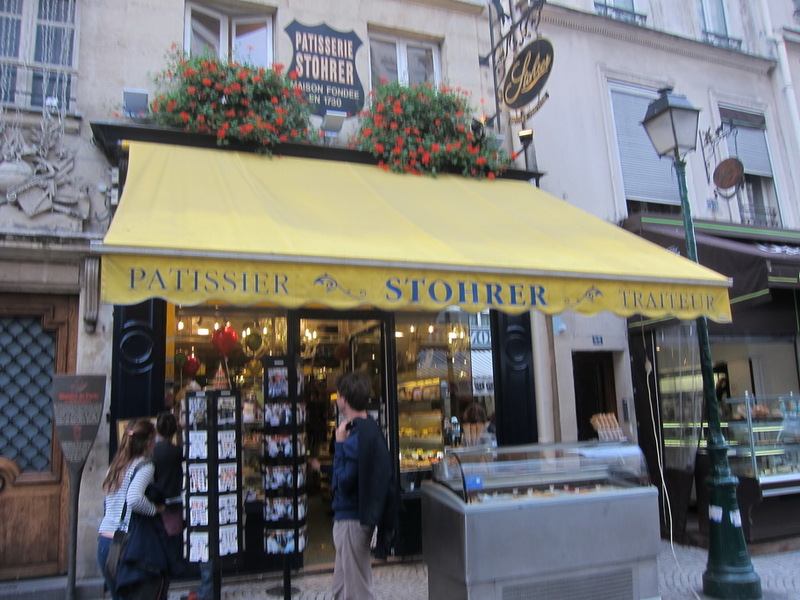 First, we tried the macarons at Stohrer, which is supposedly the oldest bakery in Paris. 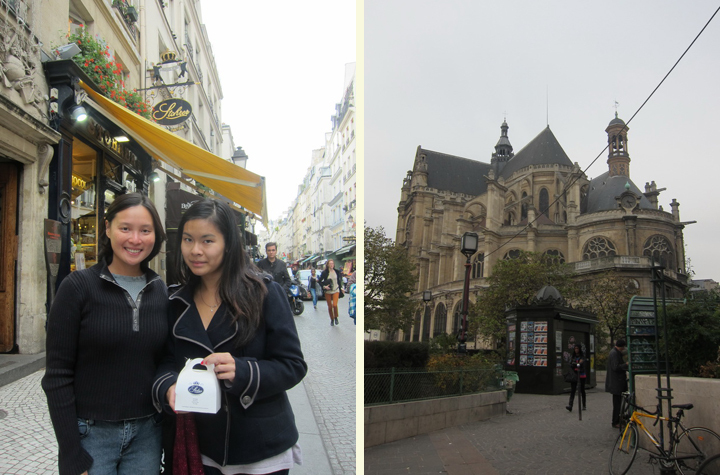 Stohrer is near Les Halles and Saint Eustache. 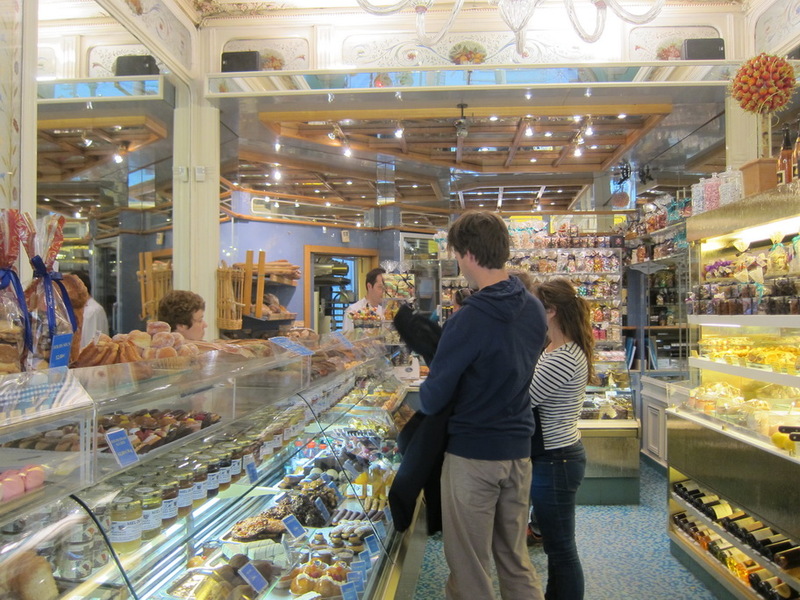 Stohrer only offered traditional flavors, so we purchased chocolate, vanilla, pistachio, and strawberry. 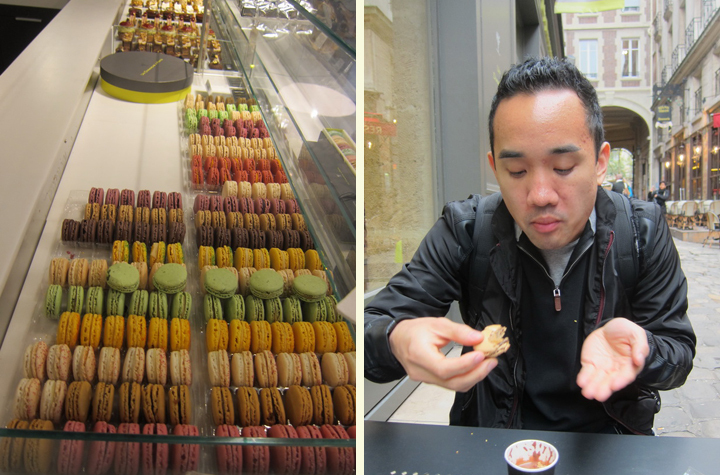 Verdict: The macarons were pretty good, but not much different from the macarons we had tasted in the States. 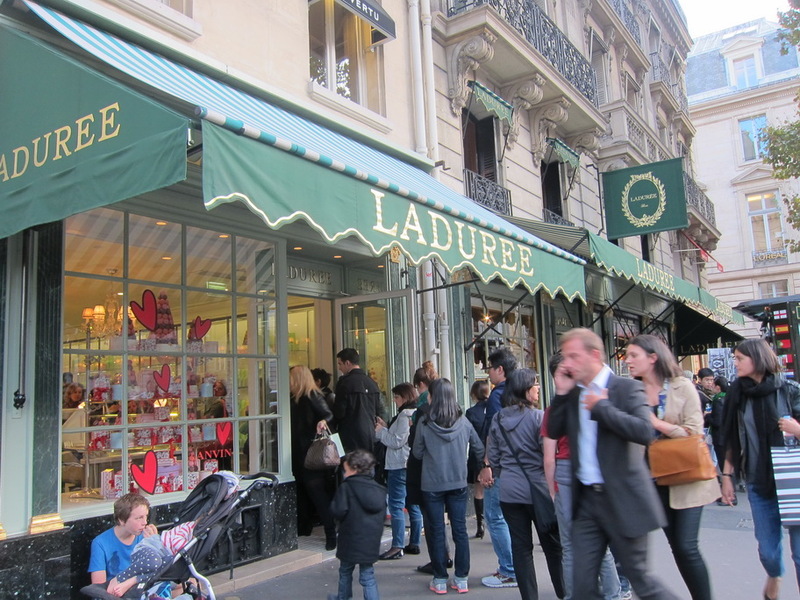 Second, we went to Ladurée, which is one of the most recommended places for macarons in Paris. The queue was very long and filled mostly with tourists, so we were a little skeptical. However, when we tasted them, they were divine. 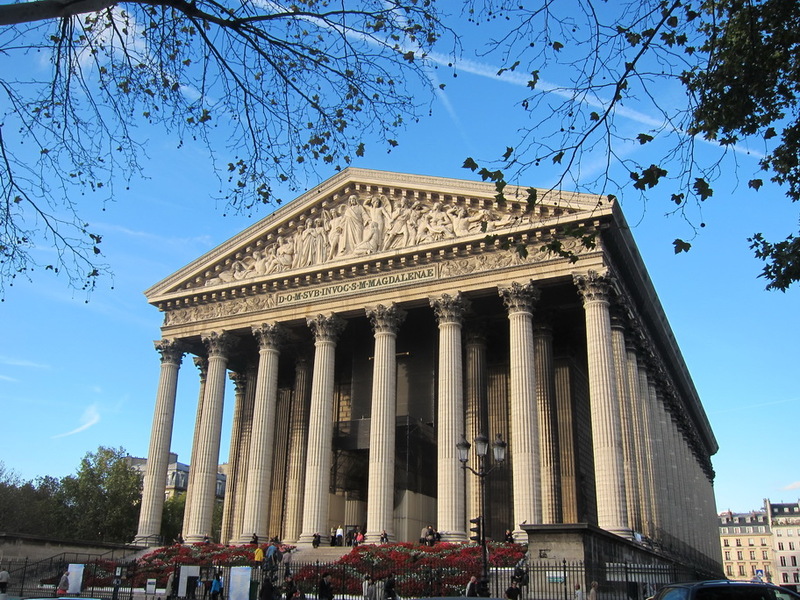 The Ladurée that we visited was also near Église de la Madeleine, so we had a great view for our tasting. 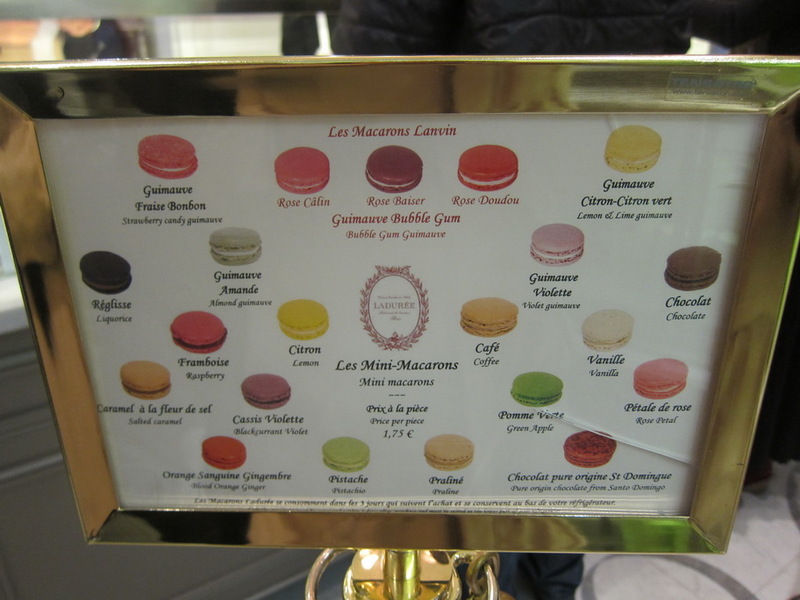 Verdict: The macarons at Ladurée were delicious and had that perfect consistency where they have a slight crunch but still melt in your mouth. 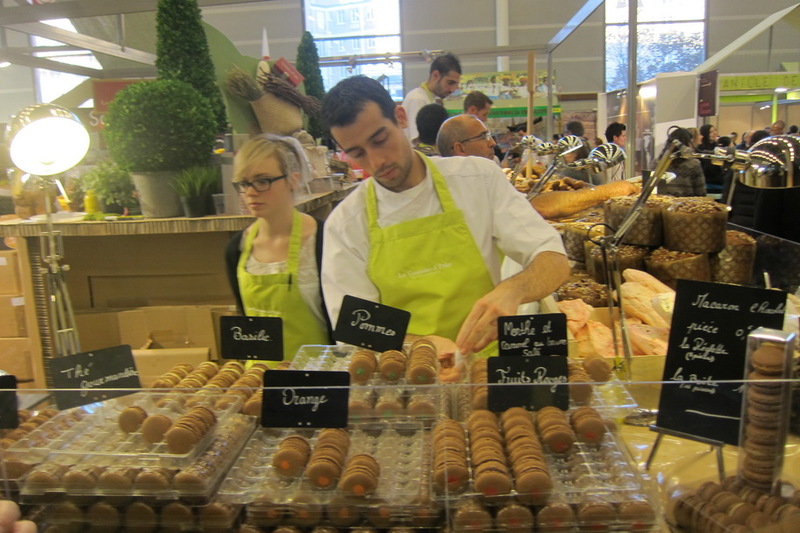 We particularly enjoyed the Blood Orange Ginger and Pure Origin Chocolate from Saint Domingo. 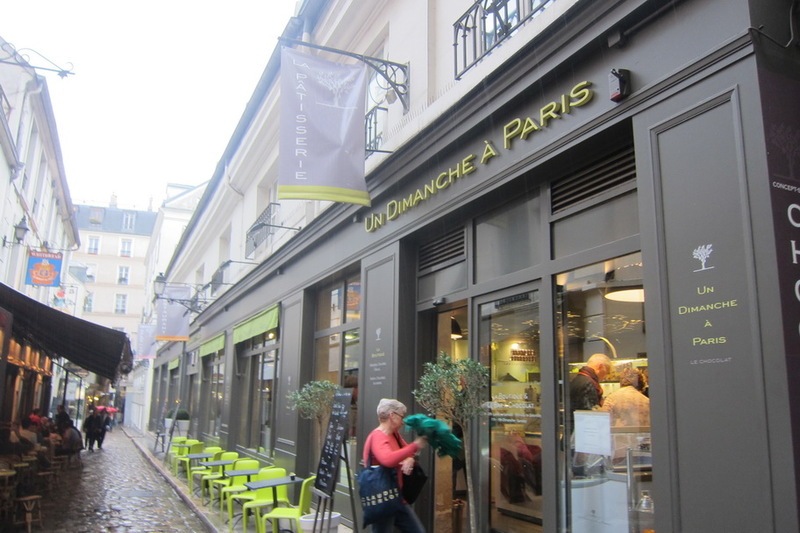 Third, we tried the other most recommended macarons in Paris – Pierre Hermé. 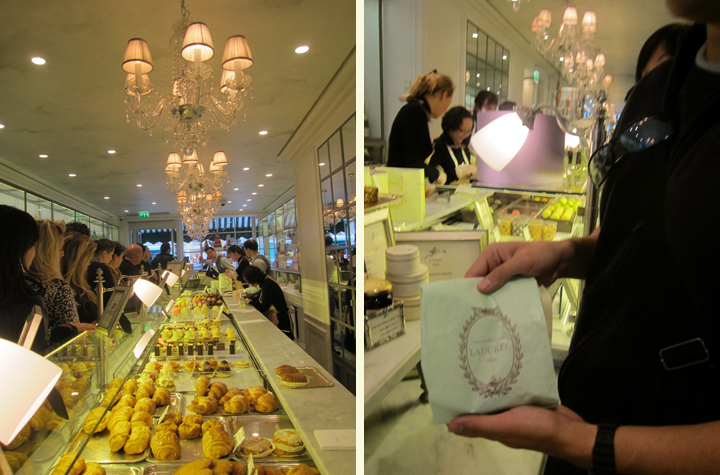 We tried the mini macarons, as well as the famous Ispahan macaron, which is rose, lychee, and raspberry flavored. 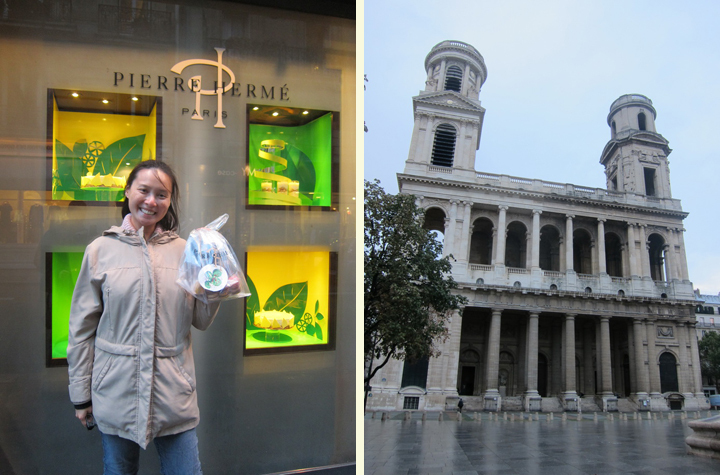 This Pierre Hermé was near Église St.-Sulpice, so it was ideal for tasting with a view again. 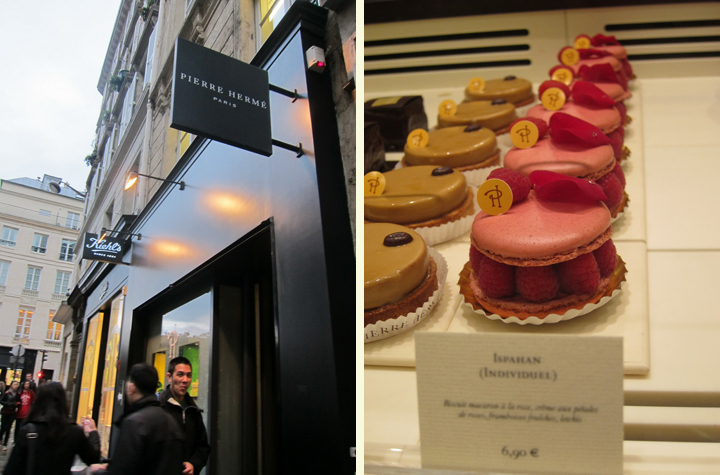 Verdict: The mini macarons were quite good at Pierre Hermé, but the absolute star was the Ispahan macaron, which is my favorite macaron in Paris. The rose, lychee, and raspberry flavors were so delicately balanced and perfect together. 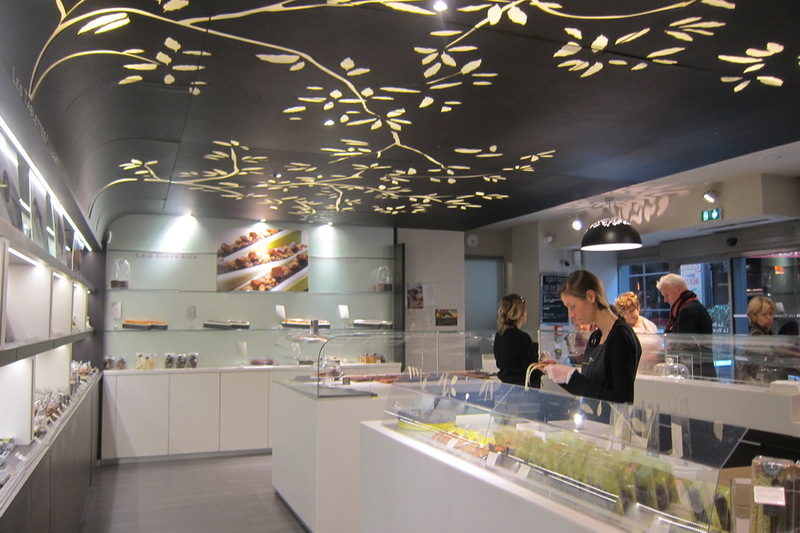 Next, we tried the macarons at Un Dimanche à Paris, which is a cute little chocolate store. 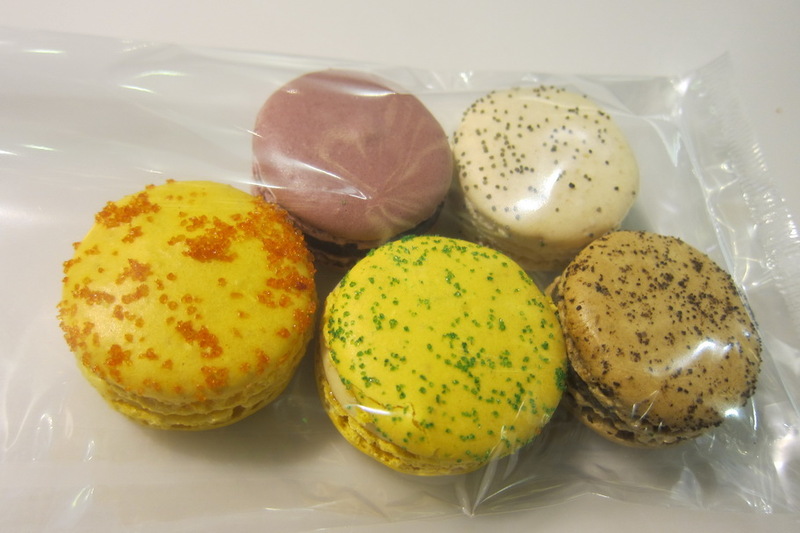 We ordered the lemon ginger, hazel nut, salted caramel, passion fruit, and vanilla orange. Verdict: The selection of flavors was diverse, and the execution was quite tasty. 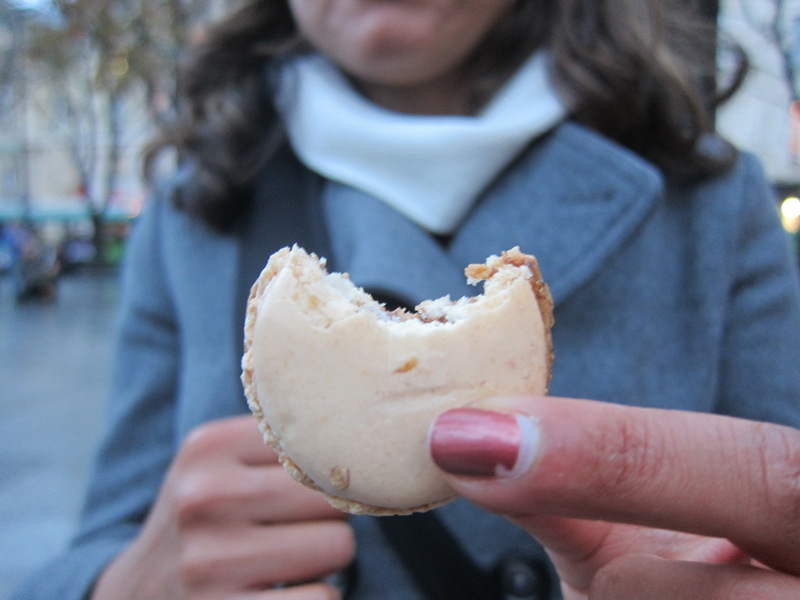 However, these macarons were not as good as some of the other places. 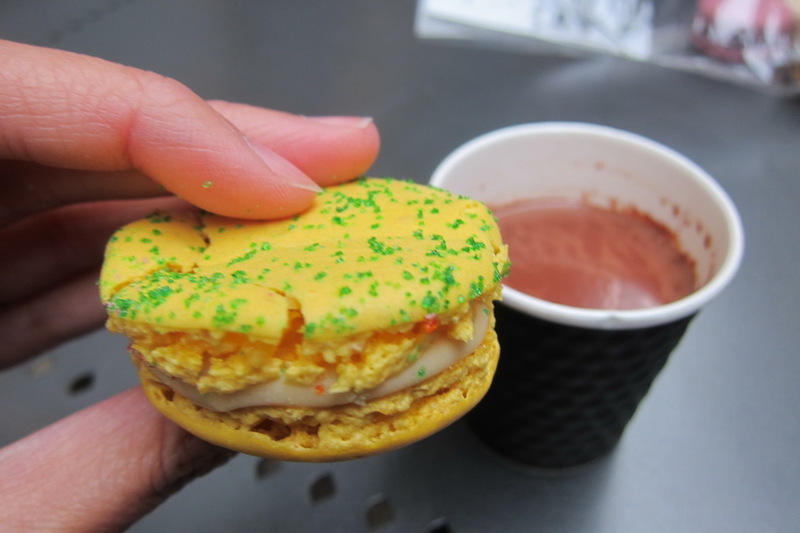 The hot chocolate was better than the macarons, which is expected since it’s primarily a chocolate store. 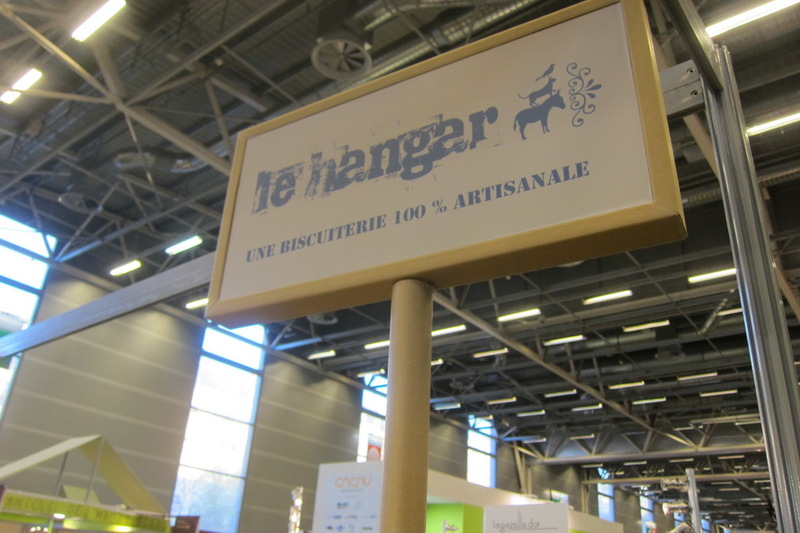 Finally, we tried some macarons at the Salon du Chocolat from Le Hangar. 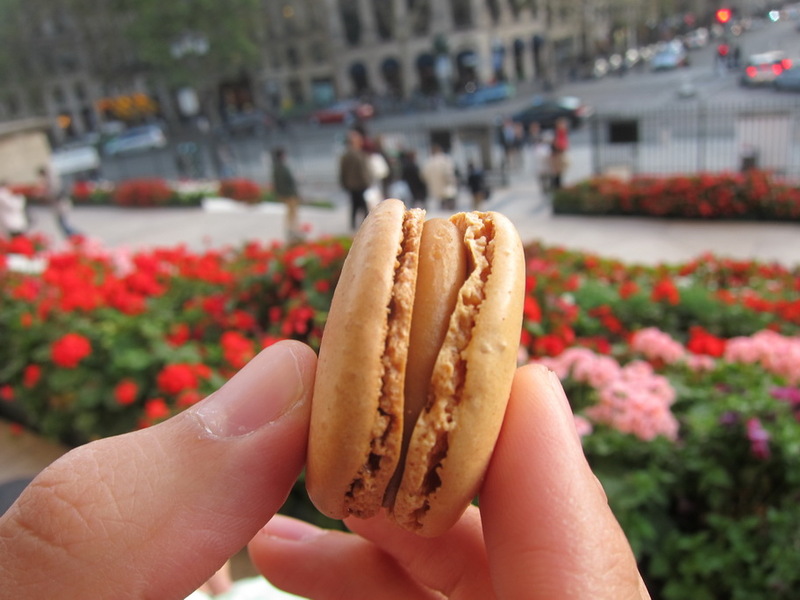 Mr. Selfish was in love with the caramel mint macaron. 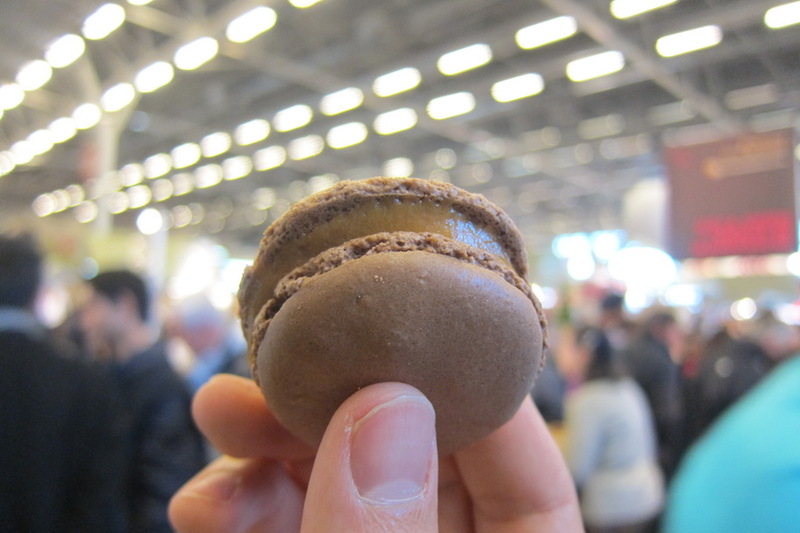 Verdict: It was an unexpected surprise to have such delicious macarons at the Salon du Chocolat. 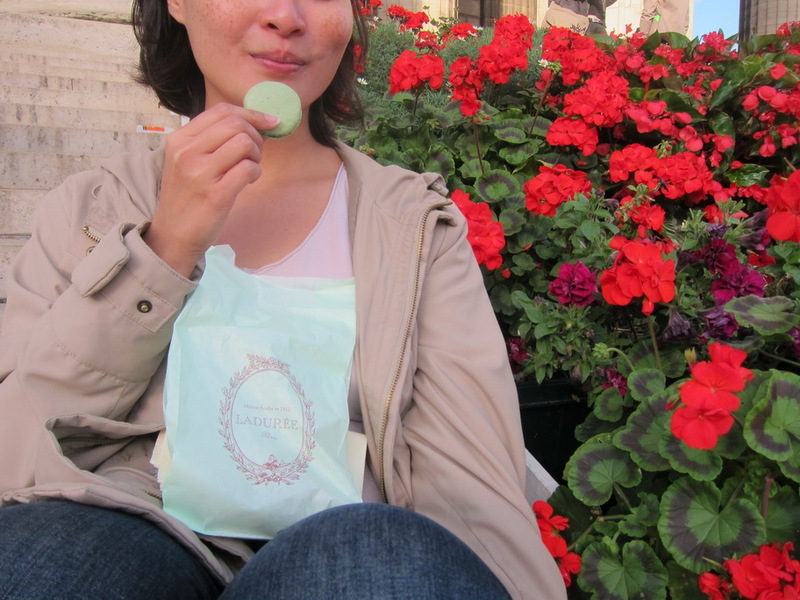 Although the chocolate macaron wasn’t the best, the mint caramel one was quite tasty. 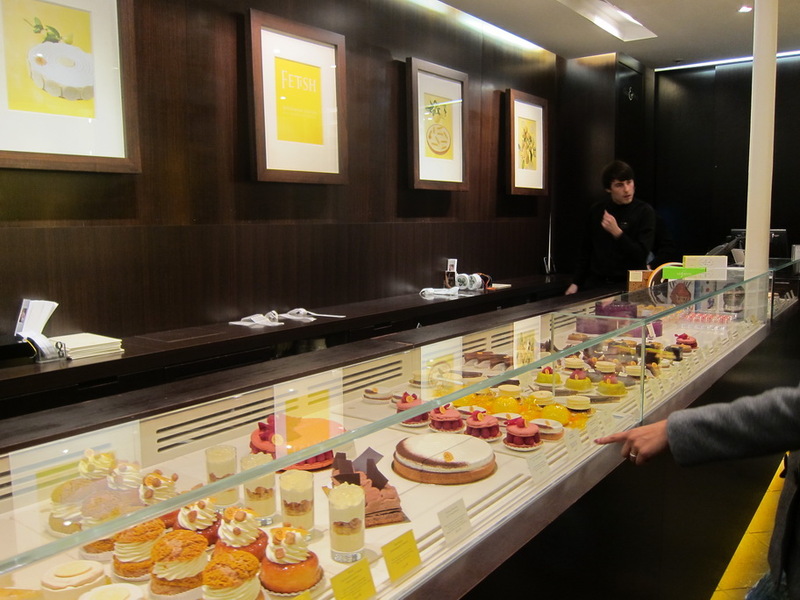 FINAL TALLY: It’s a tie between Ladurée and Pierre Hermé. 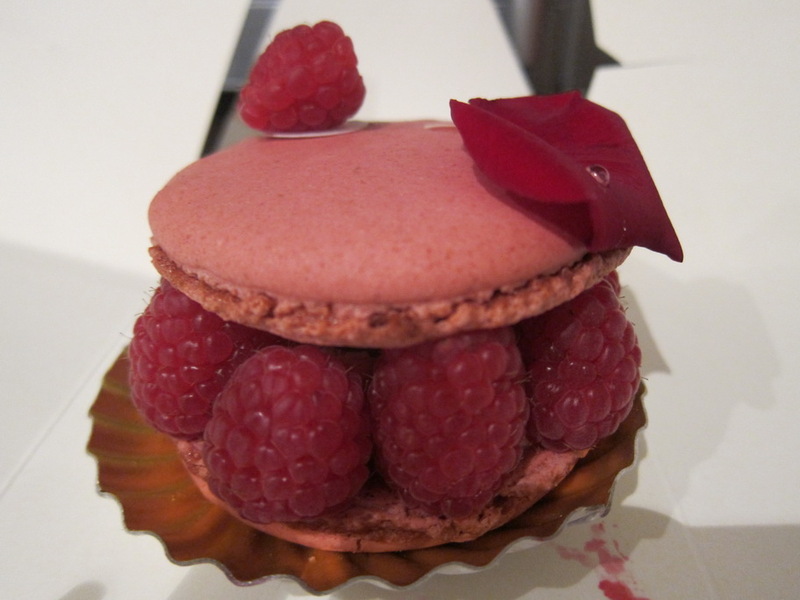 Although I loved the mini macarons at Ladurée the most overall, I loved the large Ispahan macaron at Pierre Hermé for its delicate balance of flavors.